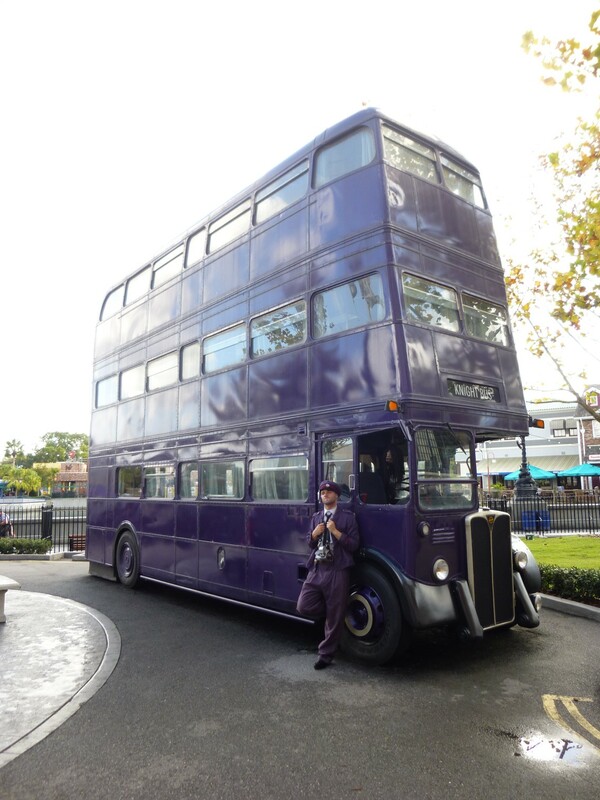 Parked on the London embankment is the purple, triple-decker Knight Bus. Here you can meet the conductor and the talkative shrunken head that hangs over the steering wheel. Parked on the London embankment is the purple, triple-decker Knight Bus, which stranded witches and wizards flag down for emergency transport. 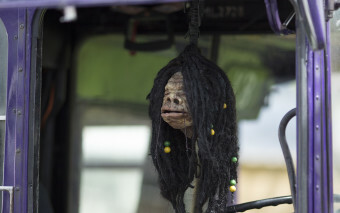 Passers-by can look in the windows and see curtains, beds, and an ornate chandelier, as well as hearing chatter from the talkative shrunken head hanging over the steering wheel and witness his rapport with the conductor. Even if you do not feel like waiting in line for your chance to take a photo with the conductor and shrunken head, it can be fun to stand close by to hear their funny banter with guests. 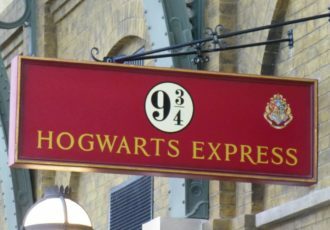 Completely fine for all ages, but made especially for Harry Potter fans! The Knight Bus is parked next to a recreation of the Eros Fountain from Piccadilly Circus.